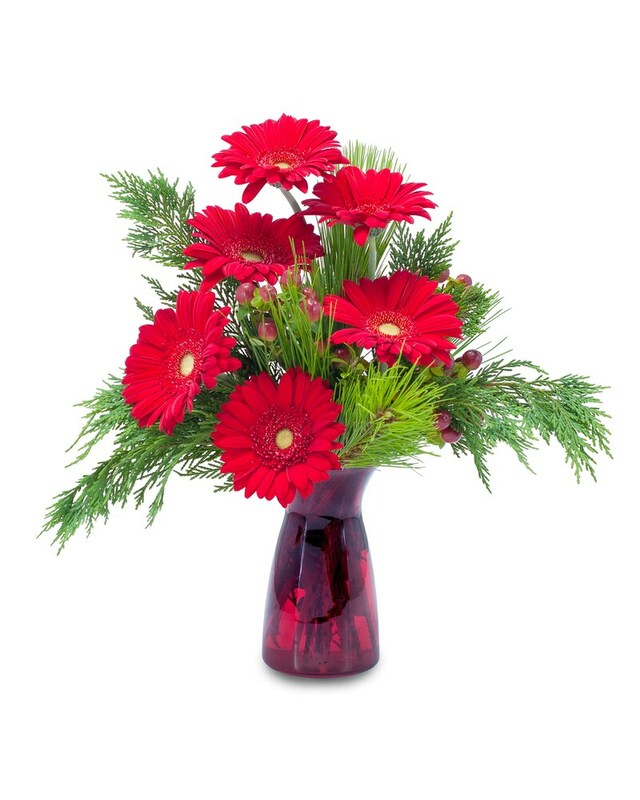 This red vase is filled with gerbera daisies and winter greens. What would fall be without flowers? The season opens up a whole new chapter of the year for these lovely plants, providing the perfect autumnal backdrop. So be prepared when the leaves start to fall with Lakewood Ranch Florist. We offer an assortment of the most beautiful flowers out there, prepared and cut just in time for fall. Make sure your house is stacked with sunflowers, hydrangeas, tulips, chrysanthemums or whatever plants you may choose, welcoming guests into the new season with a breath of fresh air. Not to mention they’re priced reasonably and affordably. If there’s anything specific you’re looking for, please let the florists know, as they’ll strive to find the fitting flower. Also, we encourage our customers to provide us with any comments or feedback, so we can keep delivering on the best flowers money can buy. Don’t miss out on our fall bargains; come on in to greet the first blossom! For more information on our flowers, contact Lakewood Ranch Florist today! Florist of Lakewood Ranch in Bradenton, FL provides flower delivery service to the following areas in Florida: Lakewood Ranch, Sarasota, Myakka City, Siesta Key, University Park, Longboat Key.